Thirty years ago, a few governments began offering foreigners their country’s passports—for a high price. In exchange for job-creating investments, or a lump-sum payment, the foreigner obtains a right to immediate residence, a valid passport, and welcome to a new home country. Until recently, two nations were the leaders in this exclusive club—the Commonwealth of Dominica, and Saint Kitts & Nevis. Austria has been a third possibility, but it’s far more expensive and restrictive. 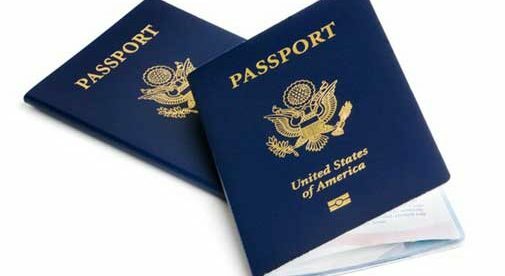 Several countries have attempted such passport deals, but later dropped them, including Belize and Cape Verde. These days, an international “passports-for-sale” bandwagon is rolling, with tax-needy governments jumping aboard. Some national programs have been marred by bribes, favoritism, and corruption, inspiring political opposition. So, it’s important to have the right information and guidance on hand when buying a passport. Within the European Union, Malta and Cyprus have joined passport-selling Ireland, Poland, Lithuania, Slovakia, Bulgaria, Romania, and Hungary. Citizenship in any EU country grants full access to all 28 EU member states. Montenegro adopted, then promptly suspended such a program, because of EU concerns about corruption and abuse. In the western hemisphere Grenada, Antigua and Barbuda, and Saint Lucia have joined the club. A few countries do have provisions in place that give the head of government, or other ministers, discretion to grant citizenship to foreign nationals in rare, exceptional cases. But beware of “diplomatic passports” for sale, a sure sign of fraud. Even if no criminal bribery is involved, the person acquiring the passport may face revocation if a political change occurs in the issuing government. Persons with questionable documents frequently are subject to “official” blackmail and forced to pay further additional “fees” later. The prospective second-passport client most at risk is one lured into an “instant” or “immediate” passport deal that promises to waive residence requirements and grant quick citizenship. This bait is a favorite internet lure for unsuspecting and ill-informed buyers. In this age of instant communications, it takes only hours—certainly no more than a few days—before customs and immigration officials worldwide know when a passport is called into question. These facts underscore why purchasing a second citizenship must be firmly based upon clear, proven provisions in the existing law of the nation issuing it. Short of full citizenship, “residence” describes the legal right to live in a designated place. It is granted by countries to wealthy foreign investors and to other select individuals the government considers desirable, but also for those with legitimate reasons. Uruguay is an attractive country that offers immediate residence upon arrival and registration, with citizenship in as little as three years, without requiring investment. If you have an interest in acquiring economic citizenship, keep in mind the old Latin phrase caveat emptor—let the buyer beware.